We offer a bespoke service including breakfasts, snacks, lunches and evening meals, delivered to nurseries, and other educational establishments on a daily basis. Our aim is to take the stress and effort out of Children’s meal times, we understand it can be a challenge to get children to try new foods and our Professional Chefs place emphasis on providing nutritional meals, which children will find interesting and appetising. Our team sits down on a regular basis, to select and circulate menus on a four-weekly cycle, ensuring healthy, varied and tasty meals and snacks. Our Chefs select our menus using seasonal produce and wherever possible we source local, fresh, whole and organic ingredients. 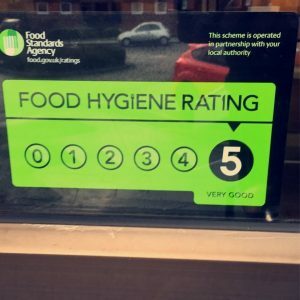 We offer vegetarian options and cater for dietary or religious requirements from our ‘5 Star’ Hygiene Rated Kitchen. Choose the number of meals you require from our relevant menu! We understand that planning is vital to each childcare provider’s daily operation, so you can order by telephone or email on a daily, weekly or monthly basis. We are also able to provide Emergency/Holiday Cover at short notice should your cook be absent or on holiday. Our tasty meals will be delivered on a daily basis. You will be allocated the same friendly driver for each delivery, providing continuity of service. Are you able to provide meals for special dietary/religious requirements? Yes, we provide meals for children with food allergies, intolerances and other dietary or religious requirements. Do your meals contain nuts? No we have a nut free kitchen although some products may come from suppliers that handle nuts. Is the Temperature of your food recorded? Are you meals delivered, hot, chilled or frozen? Dependent on your requirements, our food can be delivered hot, chilled or frozen. Hot Meals are transported in insulated thermo boxes ensuring they remain hot at the time of delivery. We predominately cover South Yorkshire and North East Derbyshire, but please feel free to contact us if you are based in the wider Yorkshire or Derbyshire region. Are you able to provide Emergency / Holiday Cover. Yes of course, please feel free to contact us and we will be able to provide a professional, temporary catering service for you. Fish Cakes served with New Potatoes, Garden Peas, Carrots and Jus’. Pork Goulash with Dumplings, Mashed Potatoes, Peas and Carrots. Please feel free to contact us to discuss your requirements!